Replacement Astro Gaming Headset Mobile Aux Cable - A30, A40 Gen 1 & Gen 2 TR - Wireless Headphones Wire Lead. 2m Replacement Astro Gaming Headset Mobile Aux Cable w/ Mute Button and Volume Control - A30, A40 Gen 1 & Gen 2 TR - Wireless Headphones Wire Lead. 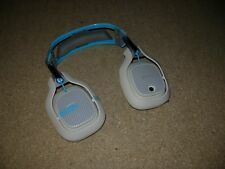 Astro A40 Headphones. Colour Black. Astro A40 Headphones. Colour Grey & Blue ( See photo ). 2m Replacement Astro Gaming Headset Daisy Chain Cable w/ Mute Button and Volume Control for MixAmp & A40 - Lead, Wire, Pro - 1.0m. Replacement Astro Gaming Headset Daisy Chain Cable for MixAmp & A40 - Lead, Wire, Pro - 1.0m. Xbox Live Talkback Cable for Astro Gaming Headsets - A30, A40, A50 - Chat Lead for Xbox 360 / Xbox One. Genuine Original 2.0m ASTRO A40 inline mute cable Gen 0 1 2 UK SELLER!!! The 2.0M A40 Inline Mute Cable, otherwise known as the Console Cable or Mute Cable, allows one to mute outgoing voice communication to the A40 headset. The cable has 2 different size ends, a 4 pole and a 5 pole. Original ASTRO A40 OPTICAL, XBOX LIVE, USB, 3.5MM AUDIO and PC SPLITTER CABLES BUNDLE. XBOX Live Cable. Optical Cable. As part of my contract these are tested and sold as used. Sorry no Console cable (Mute cable) included. When used with the A50, it connects to the headset itself, not the transmitter. When used with any of the Gen 2 ASTRO Edition Headset MixAmpTM Pro Bundles, this cable enables chat capability with the Xbox 360. 2,China mainland and Hongkong will not be send to. Australia/New Zealand 7-12d West Asia/Middle East 7-12d. United Kingdom 7-12d Italy 7-12d. Features: Replacement A10 A40 A30 Cable: Apply to connect your Astro A10 Astro A40 gaming headset to your Xbox One or PlayStation 4 PS4 controllers smartphone and MixAmp, works with PCs and Macs with 3.5mm jack. 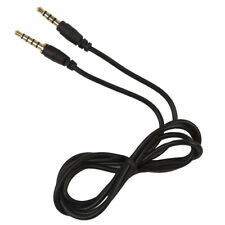 Extra Long Cable: Cable length: 6.5ft, Black, with inline mute and volume control design.Have mute button. Use both microphone and headphone functions of your Astro A10 and A40 headsets 3.5mm to 3.5mm Jack Audio Cable: A 3.5mm 4 pole. Specifications: Color: Black Cable Length: 2M Plug Type: 3.5mm Cable Volume Control: Yes Compatible with: Astro A10 A40 A30 A50 Package Includes:. REYTID Charging Cable for Astro A50 & A40 (Gen 1) & MixAmp Gen1 Gaming Headsets - Replacement Battery Charger Lead - Xbox Playstation PC MAC - Mini Data Plug PS4 Sony Microsoft USB. The 0.5m A40 TR Daisy Chain Cable enables local voice communications with multiple MixAmp™ Pro TRs via the Digital Daisy Chain port. It is compatible only with MixAmp™ Pro TR. Original ASTRO A40 X BOX LIVE CABLE. This right of cancellation does not apply to audio or video recordings or computer software if they have been unsealed. As part of my contract these are tested and sold as used. Original 3.0m ASTRO A40 MIXAMP Optical Cable. This right of cancellation does not apply to audio or video recordings or computer software if they have been unsealed. As part of my contract these are tested and sold as used. 2.0m A40 TR INLINE MUTE Cable The redesigned 2.0m A40 TR Inline Mute Cable is engineered to work specifically with the MixAmp™ Pro TR and works with all non-QD A30 and A40 headsets. 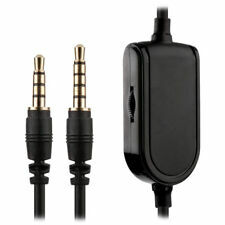 MPN 3ACBLAGH9X807 Astro A40 Aux Cable Mute. (1) Astro a40 Original Aux cable with inline mute switch (Works with the a40, a40TR, and a30 Headsets from astro). 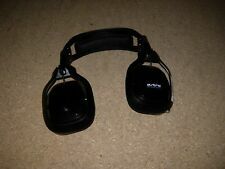 Model Astro a40 Mute Swich Cable. Original Astro Gaming Cable with Inline Mute Switch. Compatible with: For Astro A10 A40 A30 A50. 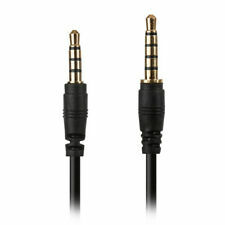 3.5mm to 3.5mm Jack Audio Cable: A 3.5mm 4 pole. Type: Audio Cable. 1 x 3.5mm Wired Headphone Audio Cable. Cable Length: 2M. Plug Type: 3.5mm Cable. Due to the different monitor and light effect, the actual color of the item might be slightly different from the color showed on the pictures. Xbox One Chat Kit for Astro Gaming Headsets - Talkback Cable & Controller Adapter Cable. 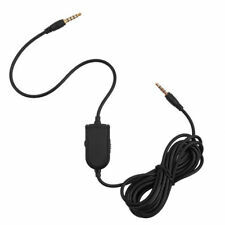 Genuine / Original / Genuine Original Angled 2.5mm to 2.5mm Talkback Cable for Astro Headsets xbox 360 chat. When used with the A50, it connects to the headset itself, not the transmitter. When used with any of the Gen 2 ASTRO Edition Headset MixAmpTM Pro Bundles, this cable enables chat capability with the Xbox 360. Compatible with: For Astro A10 A40 A30 A50. Cable Length: 2M. 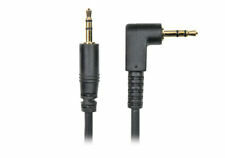 3.5mm to 3.5mm Jack Audio Cable: A 3.5mm 4 pole. Type: Audio Cable. 1 x 3.5mm Wired Headphone Audio Cable. Plug Type: 3.5mm Cable. Color: Black.
" Gold Pated 3.5mm to 2,5mm Jacks for Static Free Performance This talkback chat cable will connect all compatible Astro® Gaming Headsets to your Xbox ONE controller adapter to enable the microphone & chat function for Xbox Live online gaming. Compatible with Astro A30, A40 & A50. All generation models 3.5mm to 2.5mm and gold plated to the highest quality. Approx length - 1 metre. Compatible with the new style Xbox One Controller Please note you still need the XBOX ONE Stereo Chat Adapter - this is NOT included. Comes in AGS Retail Ltd Branded Packaging, Click ``Add to Cart Now’’.